So how has the USA shale gas boom affected manufacturing there? 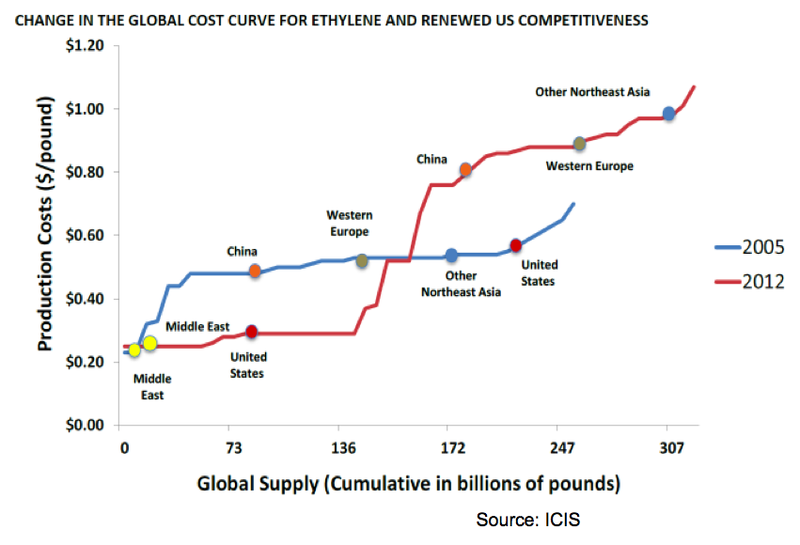 The figure below compares the cost of manufacturing ethylene in various world regions in 2005 and in 2012. 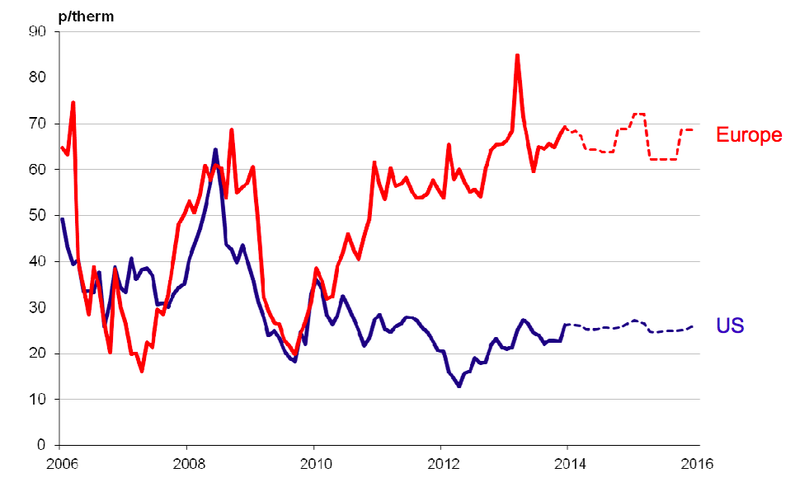 In 2005 it was very cheap to manufacture petrochemicals in the middle east, while everywhere else the price was moderate, but pretty similar whether you were in China, Europe or the USA. In 2012, the USA was as cheap as the middle east, while China and Western Europe have become substantially more expensive. Hence the moves towards "re-shoring" of manufacturing in the USA, while the same companies look to get out of Western Europe. This is another reason why renewables and shale gas development are not enemies. 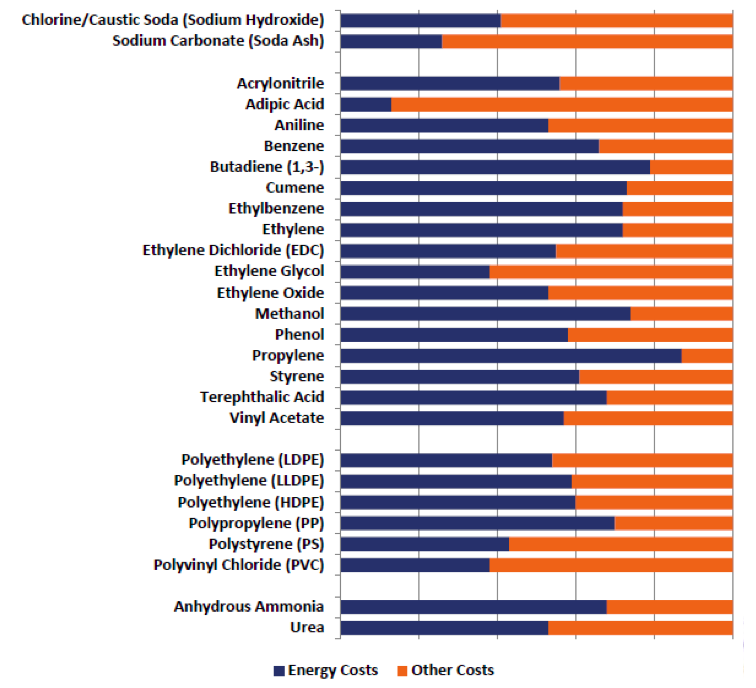 Forget electricity generation, we need natural gas as a raw material for manufacturing.